From reel life to real life, Gulzar never ceases to delight as well as dazzle. Whatever he does as a creative artist, he does it so well. This is quite difficult, if not impossible. I believe if you ignore all the writings of Gulzar for film and television, his poetry will keep his name alive. Frankly speaking, I was a great fan of his poetry. I didn’t know what his stories were like. Gulzar the poet was someone I passionately idealised. He is like a painter who makes an extra use of colours on his canvas. This is the luxury of modern fiction — you don’t need the writer. But the luxury comes with the price tag of the audacity to let the book do its job. The Barbarian Nurseries offers just that of indulgence. A far cry from the books that have the writer’s blotch on every page, this novel offers freedom from any such demands of recognition. From the coherent plot and not too many names to remember, for a change, you are less likely to feel lost. It is modern American literature at its simplest. 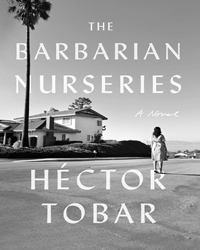 The Barbarian Nurseries is set in today’ immigrant- invaded Los Angeles. The deeper setting is the suburbs. Scott and Maureen Torres-Thompson have recently fired their two Mexican servants, the nanny and the gardener. Now it is just them, their two boys, Keenan, 8 and Brandon, 11 and the infant Samantha in Paesco Linda Bonita. And, of course, the Mexican housekeeper they didn’t fire, Araceli. You are doomed to be disappointed if you have any desire to know what our religious scholars and institutions have learnt to take up the challenges of the modern world. A sad example of their blunt refusal to learn has recently come from Darul Uloom, a leading institution of Islamic learning established in the middle of 19th century at Deoband in UP and greatly reversed in the South Asian region. It is popularly known as Deoband seminary. The seminary gave some pleasant indications in the first week of the current year when its board of directors appointed Ghulam Muhammad Vastanvi as the head of the institution. 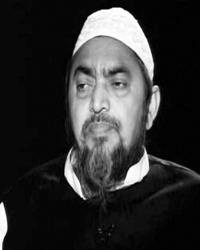 The 60-year-old Vastanvi is a noted Islamic scholar who has also received modern education, written a number of books and is billed as religious scholar with a modern outlook and sensibility. His selection to lead the Deoband was welcomed by many as a symbol of the positive changes taking place in the thinking of the conservative directors of the school. On taking charge of the headship, the reformist Vastanvi pledged to update the seminary’s curriculum, incorporating changes necessitated by the requirements of the day and also to check hard line edicts issued by its scholars that sometimes offend against solemnity. But then I came face to face with another Gulzar— the short story writer. I chanced to read Ravi Paar which is considered to be a famous story of Gulzar. Written in the backdrop of the horrible riot in the wake of partition of 1947, there is something in the story which makes you tremble, without being overly emotional. Thus began my fascination with the stories of Gulzar. And I was pleasantly surprised to note that Gulzar weaved the stories like an experienced craftsman. This does not mean that he did not have any experience of prose writing. In fact, he had. But the art of fiction demands lots of patience and tolerance. Reading Dhuan, the collection of stories of Gulzar, one can feel that patience had paid him back. The Goddess of fiction finally accepted the humble supplications of Gulzar by giving him the craft to weave unusual stories. Probably, Gulzar learnt the art of writing compact prose due to his long association with film and media. There you have to be precise and compact to drive the point home in minimum number of words. You can’t afford to beat the bush. Read all the stories of this book and you will notice that Gulzar does not apply even a single word that is unnecessary. He continues to remain to the point in order to narrate the story in an effective way. The story should be readable in order to attract even the uninitiated reader. So he keeps his narrative very reader friendly. Mostly his stories had very dramatic and unbelievable endings. At times, you feel as if he is heavily influenced by the great Manto. Stories like Ravi Paar, Dhuan and a few others may transport you to the world of Manto. The characterisation of Gulzar is his forte. His characters try to free themselves from all the chains of religion and society. Dhuan can be cited here to prove the point. A village headman is dead. Though he is a Muslim, he has treated all people of other religions very kindly. He wants to get cremated after his death as per his will. When his widow tries to implement the will of her late husband, she attracts the ire of all the people. Muslims of the village terms it to be a sacrilege to their religion. The Hindus of the village aren’t far behind as far as their prejudice is concerned. They want to make the corpse of the village headman a Hindu to bury it as per the will. Humanity is nowhere to be seen and all the people are daubed in the sea of hate. The end of the story is quite dramatic as is the style of Gulzar. There are other stories which deal with different themes and topics. Gulzar treats all the topics in a perfect manner. He also picks up a few real life people and turns them into moving characters with his artistic treatment. You need to read his story Bimalda which is on his mentor Bimal Roy, the legendary film maker of India. Here too the narration is perfect. The story builds up slowly and at the end one is simply wonderstruck at his last line, which ends the story. Gulzar does not feel inclined to do a little experimentation as far as the narration of the story is concerned. These stories follow the usual pattern: start, climax and sudden end. We may look at these stories with another angle. Gulzar’s stories follow the realism which was popularised by the progressive writers as it proved to be useful in attracting more readers. They also incorporated the lives of the common people into their stories. These factors made these stories very popular over all the years. But now Gulzar has also followed the old style but with a difference. The reader never becomes jaded as these stories and their ambience become the strong point. Gulzar is an experienced pen pusher and weaves such a powerful narrative that seemingly simple stories become a treat to read. If you enter into the lovely and colourful world of his stories, there is a strong possibility that you will like to stay here for quite some time. One doesn’t read such short stories very often. Dhuan proves that one can create something new by employing a tried and tested style. Gulzar proves it amply and forcefully. Araceli, the silent, aloof yet observant— and mostly ignored housekeeper, is about to be the most important person in this family’s life. What they don’t know about her is that she is an artist. 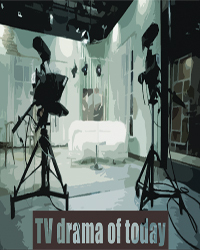 Maureen, the prodigal housewife gets back at the husband for his indifference and mid-age temper issues by tormenting him where it hurts the most, his bank account. What starts as an argument ends with Maureen on the floor and soon, both of them out of the house — to separate destinations — the maid being the solitary witness of the family drama. While Maureen is accompanied by Samantha, the boys are left on their own. The four-day impulsive and unaccounted for absence of the parents force the employee to take the children to their grandfather in Mexico. On their return the fourth day, the kids are gone and so is the maid, leaving enough room for speculations, accusations and lies. The Barbarian Nurseries doesn’t have the kaleidoscope effect despite that fact that there are many perspective working simultaneously in the novel —that of a servant, of a child, of a husband, a wife. The plot is rather simple, made interesting by the multiplicity of perspectives. On the other hand the storyline unwinds complex relations, at times, too obviously. Husband-wife, master-slave, parents and children. There is a parallel universe in the reader’s mind that keeps multiplying when the world is seen from the suburban housewife’s eye or the Mexican servant’s reflections or a child’s observations. An uncanny feeling hovers over the collage of the people and events, consistent almost to the end. There is a feeling of something being missed out, something that the characters want to say but are inhibited by fears that they have been fighting all their lives. The innocence of the children mixed up with the foolishness of the parents only adds to the eeriness of the book. The difference between an idiot and a fool, as Scott’s employee tell him is just another instance of the double effect that the book has. Loss of innocence is inherent in the boys’ ‘adventure’ with Araceli. The immigrant’s entry into the new land is his exit from the familiar and the secure into the unpredictable. This entrance is akin to the boys’ familiarisation with the maid’s world, the “other” world. What is intense is the maid’s concern to guard this innocence by sending them to foster care even for a night “she didn’t want to be responsible for that loss of innocence. Not that she has some affinity with these boys.” The interesting thing is that Araceli has no interest in the boys, the story stems of the maid’s concern for the boys who, she believed, didn’t deserve even a single night of foster care. “There was finite amount of innocence left in the world and it should be preserved.” If one had to choose, Keenan and Brandon would very well be the most appropriate choices for protagonists in the book. The book largely revolves around them, even indirectly if not directly. The Barbarian Nurseries is a schism between two worlds the world of the Scott’s and Araceli, of savage poverty and callous affluence. Here at Paesco Linda Bonita “one day followed the next with a comfortable and predictable rhythm.” In Araceli’s Mexico “the people scavenged through the trash all day until they were wearing the gooey black contents of the discarded plastic cartons and boxes on their faces and arms.” Araceli’s perspective is not just of a maid, but that of an artist as well. If you are big on CSI or Hollywood thrillers, this might not be your cup of tea. If not, the book can offer the detailed complexity that helps you read on. What the book doesn’t offer, however, is a satisfying ending. These designs did not go well with those who pull the strings at the conservative seminary. They were looking for an opportunity to corner him and he did not disappoint them. Talking to a journalist, Ghulam Mohammad Vastanvi threw out some words in praise of Gujarat Chief Minister Narendra Modi’s development policies. He did not stop there and, in fact, dropped a brick advising Muslims of the Indian state of Gujarat to move on from the 2002 communal riots and cooperate with Modi. Modi is usually held responsible for the riots in which hundreds of Muslims were killed. Modi is not worthy of praise. Indian Muslims have exceptionally strong feelings of hatred for him. Majority of their non-Muslim compatriots, too, do not find him on the side of angels. Vastavi’s judgement was not correct. I myself do not agree with him. But the difference of opinion should have been tolerated. The Mughals of Deoband have, however, kicked the reformist scholar out of the seminary. 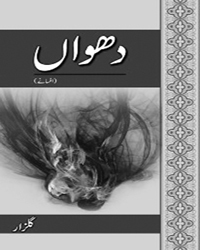 Founded by the late Zamir Jaffery and edited by Gulzar Javed, the biomonthly Urdu literary magazine Chaharsu is unique in some respects. Published from Rawalpindi, each of its issues carries a detailed special section on some South Asian writer which includes a selected literary piece as well as articles of various critics about his work. Poets pay homage in verse. Unnal Thukar is the subject of special study in the current edition of Chaharsu. Born in the Indian state of Gujarat, the septuagenarian Unnnal Thukar is a playwright and has published novels and collections of short stories in Urdu. He is also a painter who graduated from Karnataka School of Art. The 50-page section devoted to Unnal Thukar includes articles of Shamsur Rehman Faruqi, Qadeer Zaman, Nusrat Zaheer as well as some letters written to him by Dr. Wazir Agha, Shamim Hanfi, Jogindar Pal, Kashmiri Lal Zakir, Jamna Das Adkhtar and others. The magazine has many other offerings too: It has new short stories of Gulzar, Neelam Ahmad Bashir, Agha Gul and Uzma Siddiqi. The section on poetry carries new poems of Karamat Bukhari, Akhtar Raza Saleemi, Shagufta Nazli and many others. Deepak Kanwal has contributed an article on Bollywood’s famous director Bimal Roy who directed unforgettable films like Dev Das, Dow Beega Zamin, Sujata and Parakh. The piece that I liked most is from Tahira Iqbal’s pen. She has penned a report on Saarc Literary Festival held in Delhi. a list of them, you cannot exclude Pitras Bukhari, Sufi Ghulam Mustafa Tabbasum, Dr Nasir Ahmad, Prof Sirajud Din, Prof Hamid Ahmad Khan, Kazi Muhammad Aslam and Dr Dilawar Hussain. Siddiq Kalim, too, belonged to the group. His scholarship, actions and the way he taught are still remembered by hundreds of his students. He taught English literature at Government College, Lahore. He also served as a principal of the institution. Siddiq Kalim is a poet as well as a renowned literary critic who introduced some new literary trends and played a role in developing modern Urdu criticism. The first book of his verse Dam-e-Neem Soz appeared in 1955 carrying his poetry composed since 1938. It was followed by Roshaneun ka Safar in 1971, and Kaifiat-e-Chasham in 2001. The Beautiful Spaces of Time, an English translation of his selected poetry, too has seen light of day. Ferozsons have now brought out a collection of all his Urdu poetry under the title Javidan Lumheiy. The volume was launched recently at a ceremony organised by the Lahore chapter of the Pakistan Academy of Letters. Chaired by Ahmad Aqeel Rubi, the function was laudably conducted by Uzma Saleem of the APWA College. Khalid Iqbal Yasir, Sabir Lodhi, Altaf Ahmad Qureshi, Dr. Zaiul Hasan and Professor Ziaul Rehman were there to pay tribute to the poet who is to celebrate his 93rd birthday soon. 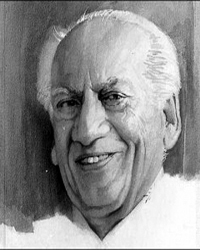 The birth centenary of Faiz Ahmed Faiz has occasioned numerous publications on his life and accomplishments. Some old books too have been reprinted. But the appearance of Dr. Syed Taqi Abedi’s Faiz Fahmi is undoubtedly something of a publishing event of notable significance. Finely produced, the 1424-page tome is a compilation of 162 new and old writings about Faiz penned by scholars, writers and activists. In his eagerness to bring out an authentic and comprehensive volume on the celebrated poet, Abedi has brought together scattered pieces that will be greatly benefited by students, scholars and general readers. We all know that there is no dearth of writings on Faiz. However, philosophical depth and literary insight have not often been employed for the deeper understanding of his poetic and prose writings. Faiz Fahmi can be expected to go a long way in getting over this deficiency. The book is not Abedi’s maiden offering. He has already published volumes on classical Urdu poet like Anees, Dabeer, Inshaullah Khan Insha and Ghalib. Nowadays he is working on Firaq. The credit for the excellent production of the book goes to Azhar Ghauri who employs his poetic imagination to adorn the publications of his Multi-Media Affairs publishing house.